High-quality razor blades aren't cheap, but even the most expensive ones tend to dull after a few uses. If you shave daily, the cost of those blades starts to add up. By caring for your blades, however, they can each last a few months or even longer. Shaving isn't the only thing that dulls razor blades -- moisture is one of the biggest culprits. Just by cleaning and drying your blades, you can ward off rust and help to keep them sharp. 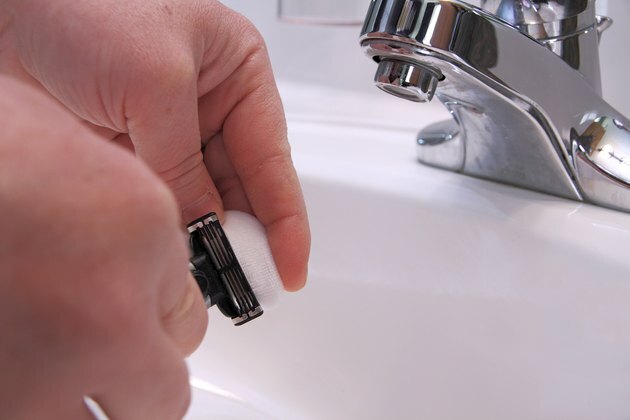 Rinse your razor blade well after you shave to remove hair, shaving cream and other debris. 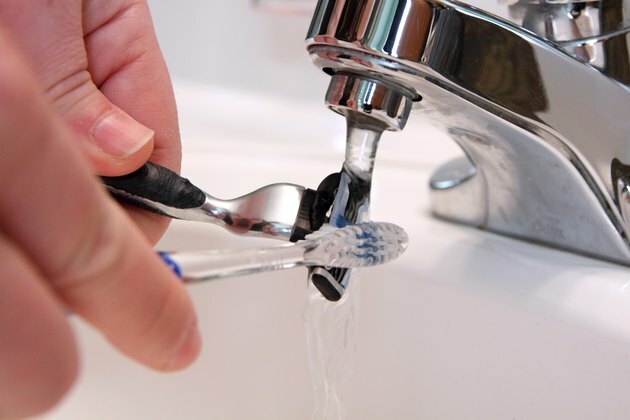 Use an old toothbrush to scrub the blade for a deeper clean. For best results, clean your razor after each use. 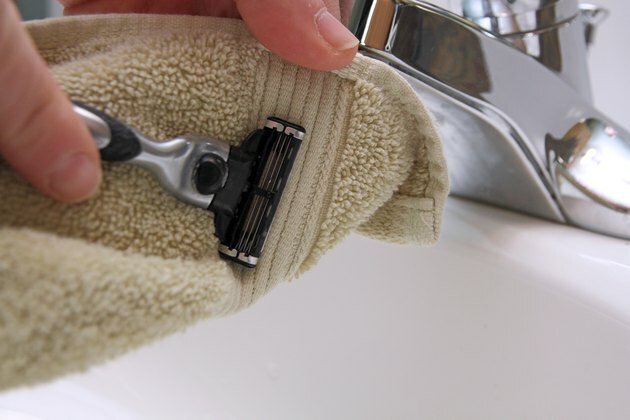 Pat your razor blade dry with a clean towel after every use. Drying the blade prevents it from rusting and dulling. Fill a small cup with baby oil or mineral oil. After each shave, soak the razor blade in the oil until you're ready to use it again. The oil keeps the blade from rusting. If your razor has a moisture strip, though, the oil may dissolve it. Soak a cotton ball in 99-percent isopropyl alcohol, then wipe the razor blade with the cotton ball. The alcohol disinfects the razor and keeps rust away, so the blade will last longer. Lay a pair of jeans -- or another denim garment -- flat on a hard surface, such as a table. 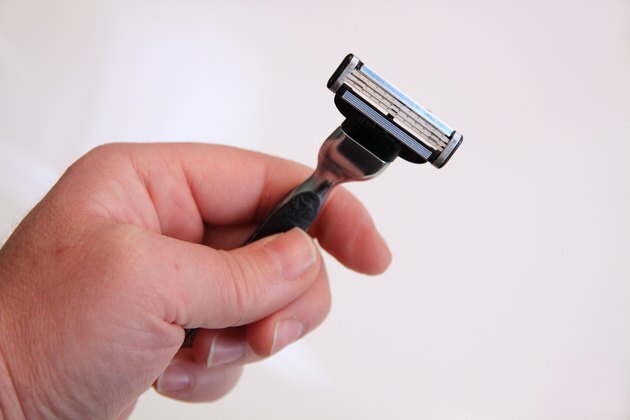 Push or pull your razor blade for 10 to 20 strokes in the direction opposite the way you normally shave. 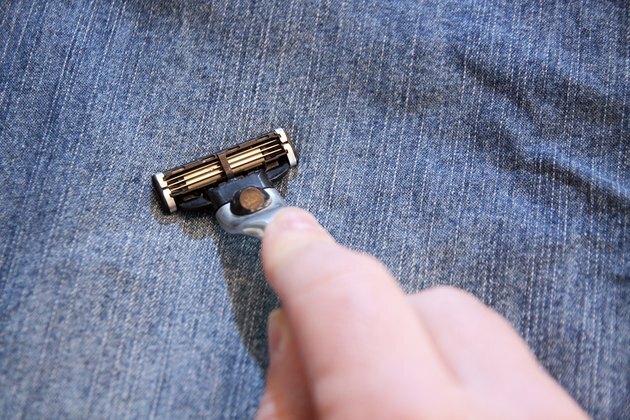 For example, if you usually shave by pulling the razor back toward you, push it forward on the jeans to sharpen the blade. If you're spending too much money on razors, try switching brands. Store-brand razors cost much less than name-brand ones do, and they often work just as well. If you prefer name-brand razors, look for money-saving coupons in your Sunday newspaper. They'll help you save money on blades and shaving cream. 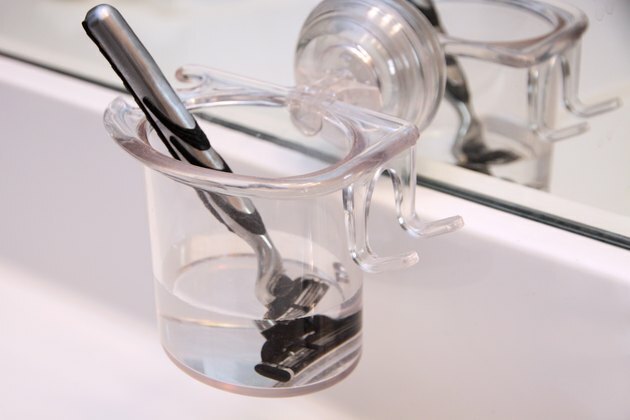 Replace your razor when the lubricating strip wears away or if the blade starts to rust. If you start getting razor bumps or irritated skin after shaving when you normally don't, it's probably time for a new blade. If it feels like the razor is pulling on your skin when you shave, get a new razor. This means that the blade is dragging through the hair instead of cutting it.